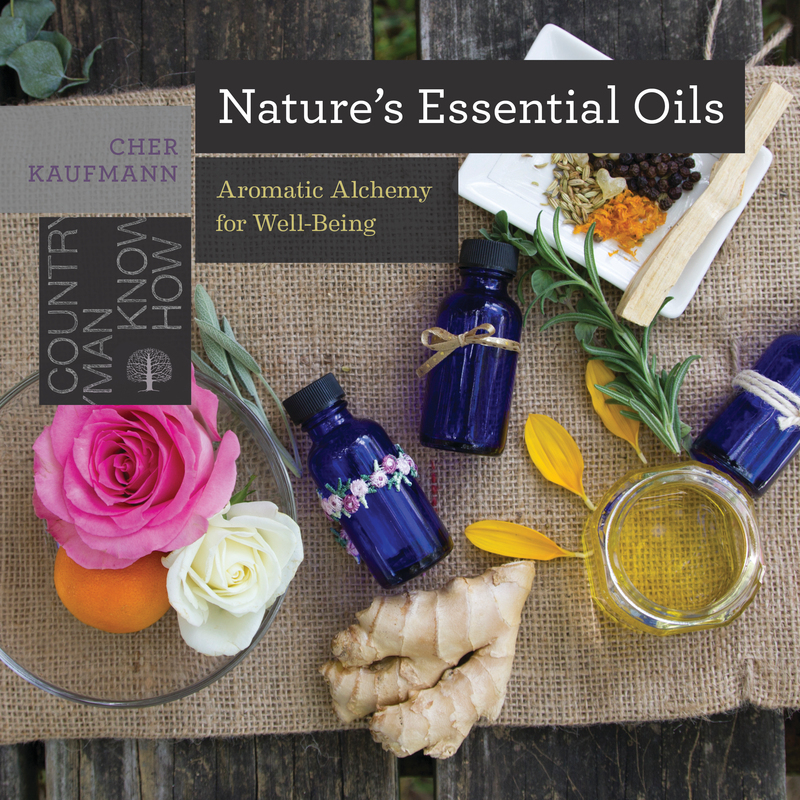 In Nature’s Essential Oils , certified aromatherapist Cher Kaufmann demystifies the how and why behind essential oils, explaining the environmental factors that impact the chemical make-ups of herbs and plants and how they trigger our physical and emotional responses. This thorough and welcoming guide includes recipes for oil blends that can be used in diffusers and personal inhalers as well as for bath salts, salves, linen sprays, and more. Kaufmann also explains essential oil dilution and safety, shares the best carrier oils for each application, and includes tips for buying and storing oils. With detailed profiles of more than 30 of the most common essential oils for well-being, this is a valuable resource for anyone hoping to expand their knowledge of essential oils and their properties.